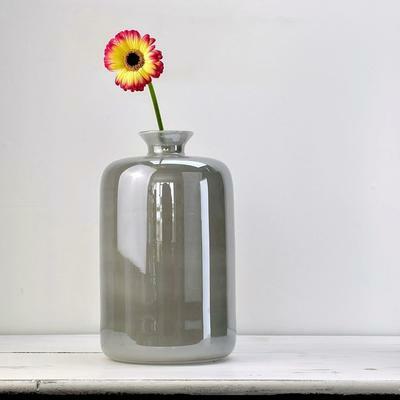 Stylish and absolutely striking, this Glass Flower Vase - Opal 1 is a beautiful way of presenting flowers inside your home. Made by skilled artisans, it's carefully mouthblown to form its unique shape. 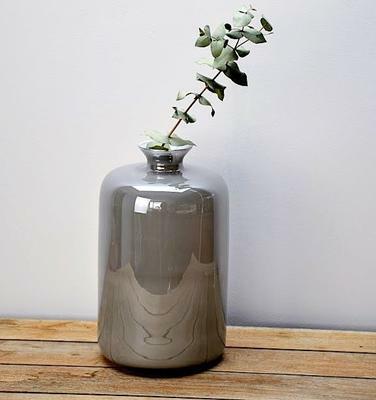 The vase has a sturdy and big body topped with a small neck and opening. The contrast between the two is gorgeous. Plus, the opal shade and the smooth finish make this a real stunner. You can fill the glass with your choice of flowers or bouquets. You can also just decorate it as it is. It's lovely enough on its own and will make a fantastic accent inside any modern interior.